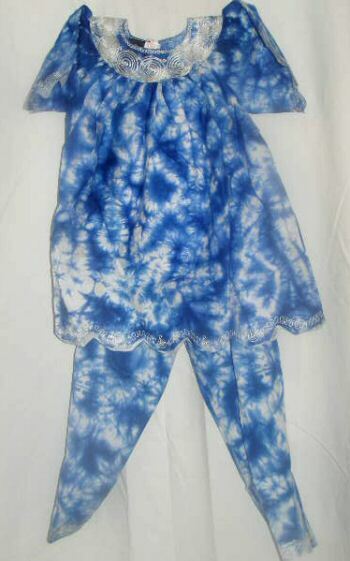 Breezy Lake is a two piece child’s pant set. It is marked for ages 2-3years but we use a straight measuring system for more accuracy. The top has shorl sleeves, a hand guided machine embroidered round neck and an embroidered scalloped hem. It measures 9″ across the neck with a single button back neck closure. The embroidery around the neck measures 2″. Below the neck band the fabric is gently gathered. This provides a flow to the fabric beneath. The pants have an elastic waist which measures 16″ relaxed and 26″ fully extended. The pants measure 25″ from waist to embroidered hem.